Dental procedures include dentures, dental implants, laser and gum disease treatment and periodontal exams. Serving the Metro Atlanta area. Provides cleaning and adjustment products for removable devices such as dentures, partials, retainers, mouth guards, snore guards, and occlusial splits. Features a home appliance that uses air, water, and cleaner to power wash teeth, between teeth, and around the gum line. Directory of resources on dental issues, dentist locator, useful links. Commercial education program about mercury poisoning and dental-related illness, designed to create "informed, logical, thinking consumers". Multispeciality dental clinic, situated in New Delhi, India managed by a team of highly specialized dentists, trained in reputed dental schools. KM Care is a professional and patient oriented dental practice and aestheic clinic located in Govan Health Centre, Glasgow. Presents Dr. Robert Bennel featuring dental care products and information. 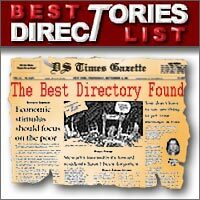 Features a pediatric dentist directory.